Watched The Moment You Fall In Love This Week, Have Romance Feels. This Friday feature as you guys can tell is a little different, as last week mentioning I’ll be featuring more posts. Nice to have a change of pace for once, as I’ve seen some great content. Figured I should do this once in a while just be about posts but as a heads up for next’s week content, Wednesday’s piece will be a editorial. This schedule I implemented has been working well but feel I need to up my post game, Juggling everything I do on the internet hasn’t been easy. Anyway time to showcase some awesome posts happening to come across. The feedback I’ve had lately about this segment in my blog, has been great. Reminds the reason I started all of this but let’s find out who are my features for this !!!! This won’t be everyone’s cup of tea but for those that love the Yuri Genre. This is the longest list of yuri manga I’ve seen. This list is complied as manga series that deserve a adaption. Every yuri manga on the list was down to votes, I added this post because for someone like who has not read a lot of yuri manga. Make sure to check this out, It was a great source to discover titles for those that may like this genre. Lyn is back at in the blogging world, off for the summer. She is all about the web toons, she’s the person to ask. We have a modern day vampire yearning for her next door neighbour, levels of physical and emotion intimacy. Lyn makes a excellent point on this aspect. Make sure to go check this if you like web toons or need a change of pace. For the dark genre fans, Another is one that you should watch out of that genre and to convince you of this. This was a good spoiler free review of Another, not giving all the suspenseful scenes that occur within the series. Make sure to check it out !! Ergo proxy is a strange yet intriguing series, it’s me an under looked watch because it’s not the easiest to follow at times. Weekend Otaku writes a amazing piece of the struggles of Vincent, with his identity. It’s addressed well in this article of all the scenes that represent to it’s viewers, from the struggle view point of Vincent. Make sure to go read this great piece !!! Kurumi has done it again with another list that I fell in love with. Romance genre fans *cough* such as myself this was a well chosen list of new and old. But swaying more to the older side of ones I’ve not heard of, Make sure to check out Kurumi’s list if you need love and all that jazz !! This is part of a three part series, on the view point of going out of comfort zone. 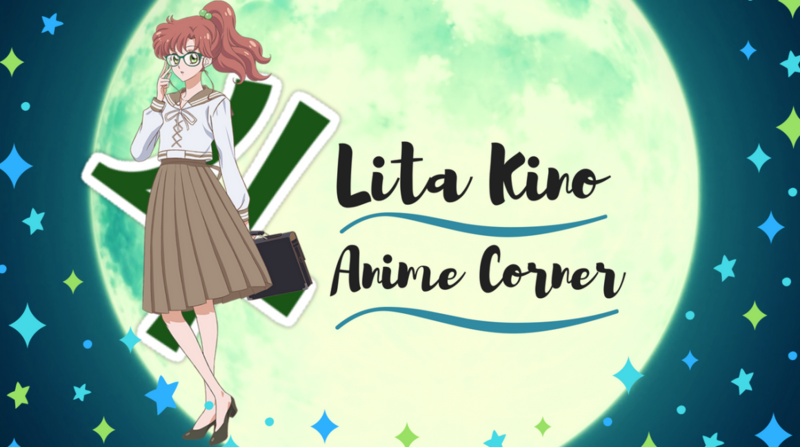 Shokamoka is a new blogger I’ve come across recently and in her first part addresses of how different cultures differ in opinions, when it comes to anime. This was a interesting read and make sure to go check out !! This is an older post but soon as I read Escaflowne in the title, course I had to read it. Escaflowne was the whole reason I discovered about Yoko and this post hight lights of why she is admired internationally. Make sure to go check it out !! I do hope you all enjoyed this Friday Post Feature for a change of pace and make sure to check out the ones featured. I’ll see you all next Friday with another Feature!! Previous Where I’m At With Manga? A great roundup, and I’m not just saying that because you featured one of my posts 😛 Still, I’m honored that you thought it was so good. Thank you so much for sharing it here on your blog. I’ve really enjoyed Shokamoka’s latest posts, so I’m looking forward to reading that and I’m quite interested in the Yoko Kanno article because her work is amazing. No worries !! I had to feature yours it was good and glad you have discovered some new things to read !! When I wrote my parts for Out of the Comfort Zone I initially thought about myself, hence the need to get out of the Comfort Zone. But I later realized that there are other people who can at least accept things the same way I do. Especially the third part where I give hints to the people that just can’t accept weird anime and what can actually be happening to them, boy that part is hateful! No problems I’ll read your other parts for sure !! !